Kirkwood Interactive Camps for Kids are designed to provide your child an enriching summer experience filled with exciting adventures and positive learning experiences. Designed for youth ages 9-15, the KICK summer program offers a wide variety of camps focusing on career exploration, adventure and fun. Camps fill quickly, so register today! Join us for this three-part series featuring nationally renowned speakers sharing inspiring stories and information to spark leadership in both your professional and personal lives. April 15: Derek Daly, hall of fame race car driver and network television color analyst; May 19: Chad Hennings, three-time NFL Super Bowl champion and veteran combat pilot for the United States Air Force; June 3: Nate Booth, speaker and author. 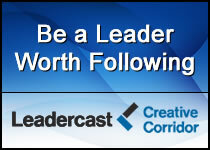 Leadercast is a one-day event broadcast live from Atlanta, Georgia to all around the globe. 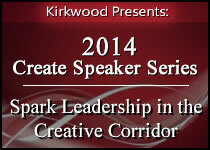 Join us at The Kirkwood Center, and watch what we can do collectively. It's a movement that is changing the way the world thinks about leadership by building leaders worth following. This all day event will include a conference journal, continental breakfast, plated lunch and afternoon dessert. In four short weeks, you can be earning a good living driving a semi. Learn the safe driving skills necessary to get your Class A CDL and a well paying job. There are tremendous job opportunities through our placement service. Tuition includes books and testing with the Iowa DOT at our site. To coach K-12 school-sponsored athletics in Iowa, coaches must be state certified. Curriculum meets the state of Iowa requirements for authorization certification as well as renewal credits for recertification. Classes may be taken individually or in the seminar format. Advance in your career or learn new skills with the highest quality computer and information technology training programs. Whether you're just getting started or looking for advanced certification, there is something for everyone.